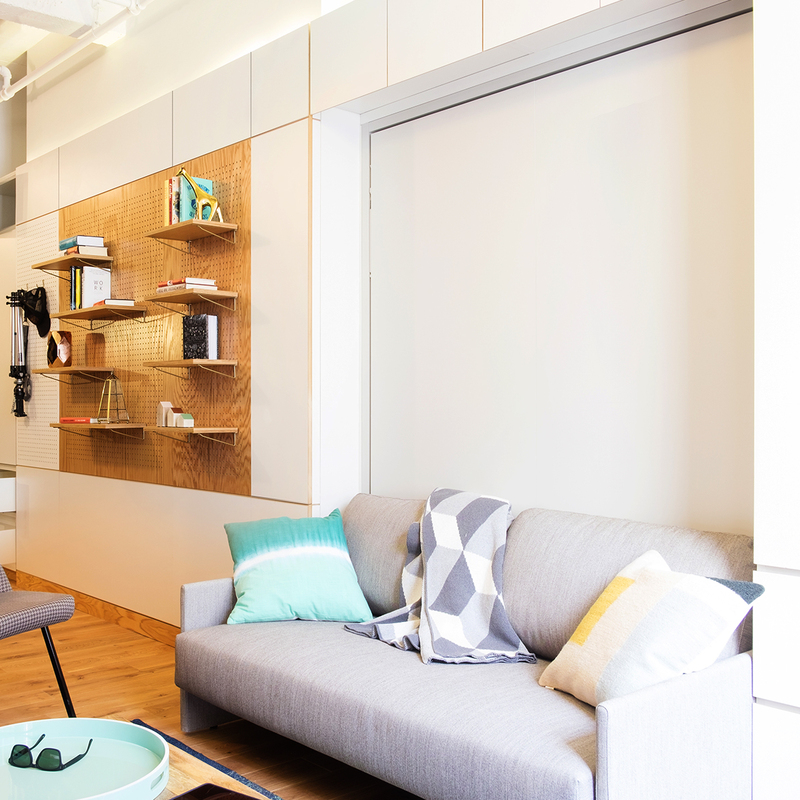 The coworking startup WeWork has branched off into the coliving space. 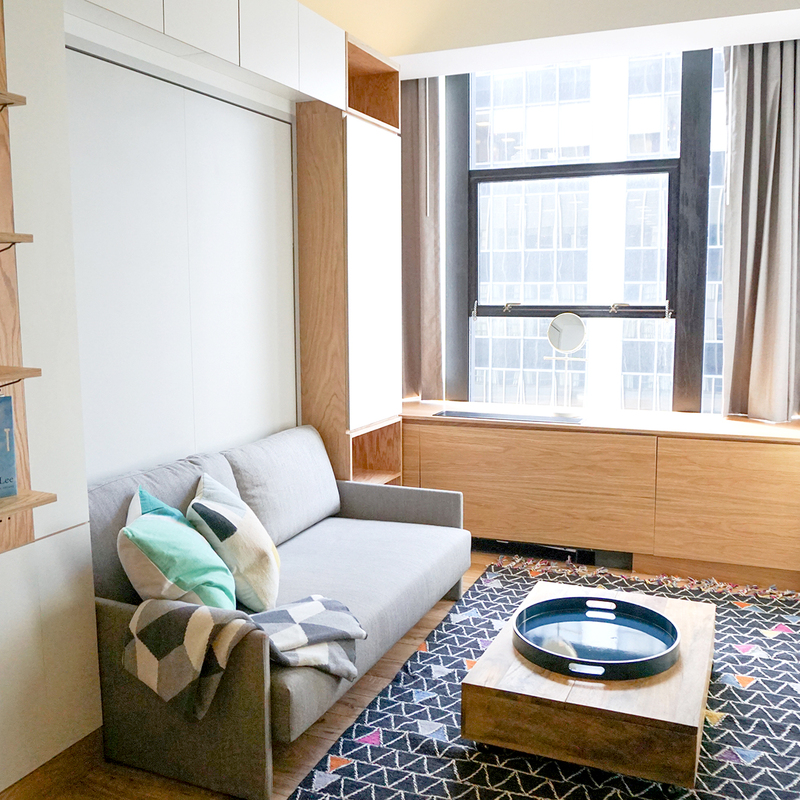 With two locations in downtown Manhattan and Crystal City, Virginia, WeLive combines the best aspects of dorms, boutique hotels and apartments by creating an all-inclusive community living experience. 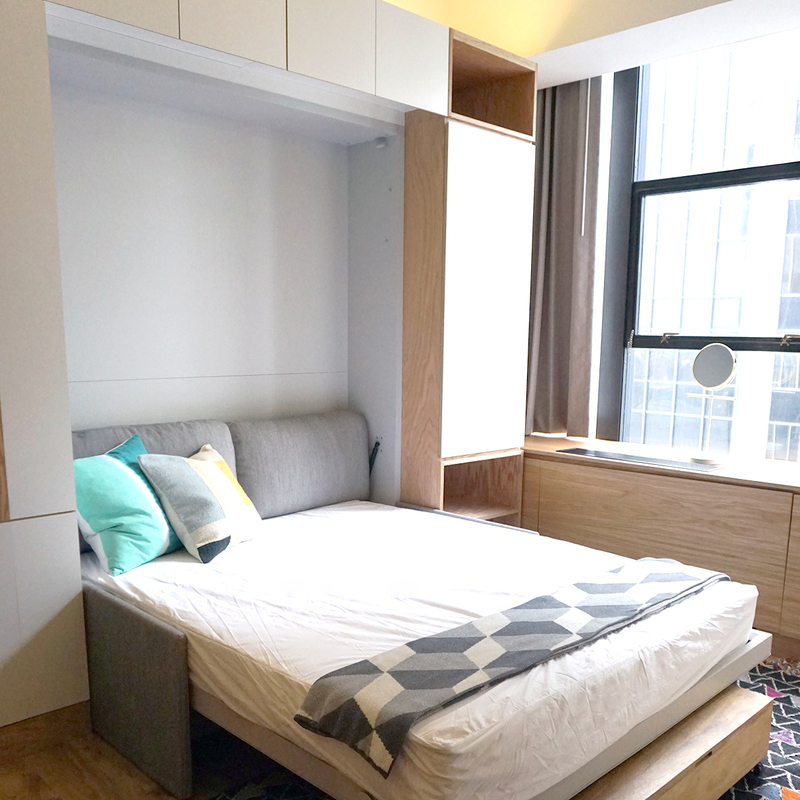 Although it has been called “dorm for adults” style of living, WeLive is far from a dorm. Residents have their own apartment but get access to a chef’s kitchen, communal dining room and lounges, yoga studio, conference room, laundry/arcade room – and a strong community. Designed by ARExA Architects, both WeLive locations have repurposed older structures. In Manhattan, the WeLive location was a former office building that cleared out after the 2012 Sandy Hook hurricane. Built in the 1960s, the Crystal City location once housed the IRS and the US Patent and Trademark Office. 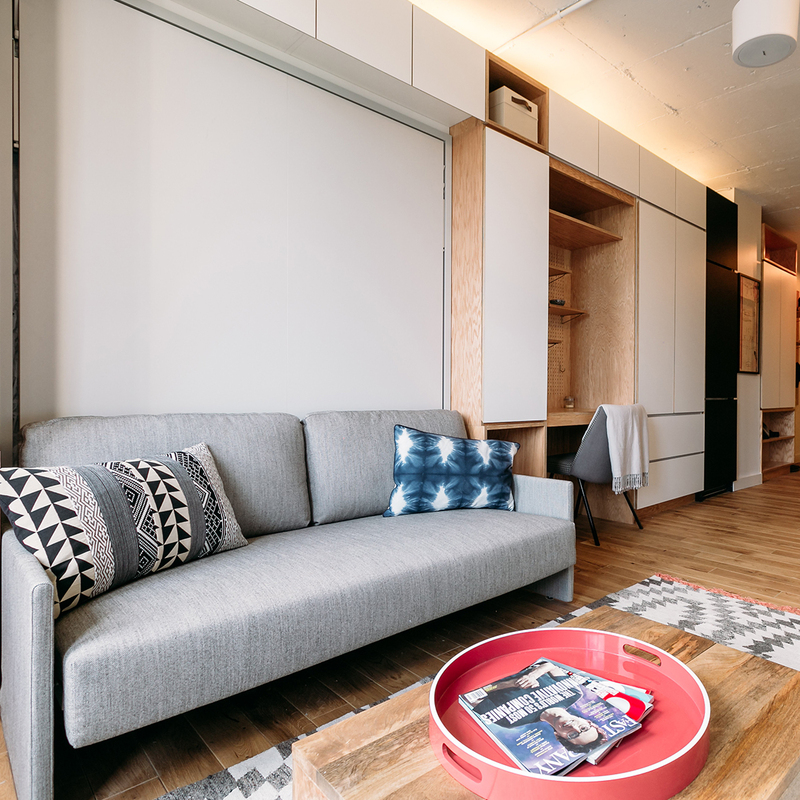 We furnished many of the units with our Penelope Sofa wall beds so that the spaces have both a sofa and a bed all in one. Some of the apartments feature other furniture pieces, including the Ulisse Dining wall bed, which effortlessly creates a work surface and dining area while also providing a queen sized bed.